Every week, at a teacher’s request, we send our armies of volunteers into local schools to work side-by-side with students through our In-school projects. In 2003, one school thought it would make sense to give us our own room to staff with tutors every day. We loved that idea, and so the Writers’ Room at Everett Middle School was born. Our volunteers spent the summer transforming an unused storage room off the library into a warm, welcoming space. That fall, we began working with every student in the school. Since we’ve been there, scores have gone up and writing skills have improved dramatically. Our approach works in a simple yet effective way: a teacher sends half of her class to the Writers’ Room to work with our volunteers while she works with the other half. This means that all students receive significantly more attention and feedback. We’re a regular presence on campus, and every student gets a chance to work in the Writers’ Room multiple times. With our team of volunteers working directly with the class, each student is given a personal instructor, and teachers are able to carry out ambitious projects and give more in-depth instruction. 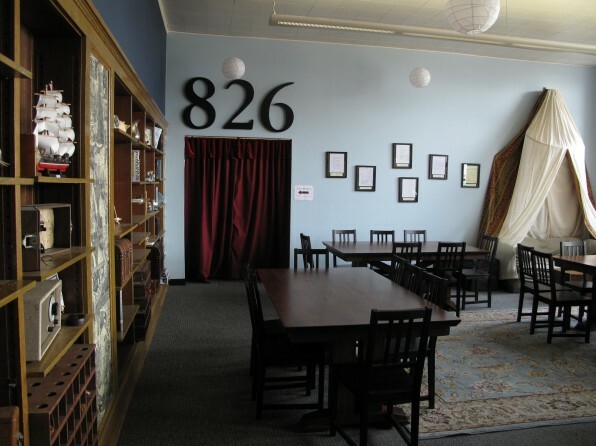 826 Valencia currently operates two Writers’ Rooms, one at Mission High School and one at Everett Middle School. We also had a Writers’ Room presence at James Lick Middle School for several years, where we produced a mighty student-authored magazine called Slick. The Writers’ Room at Everett Middle School produces the Straight-up News, a bilingual school newspaper written and edited by Everett students. The cornerstone project of the Writers’ Room at Mission High, which just opened in the fall of 2014, is a magazine in collaboration with the 9th grade Ethnic Studies class, dedicated to social justice issues and subjects the student authors are passionate about.